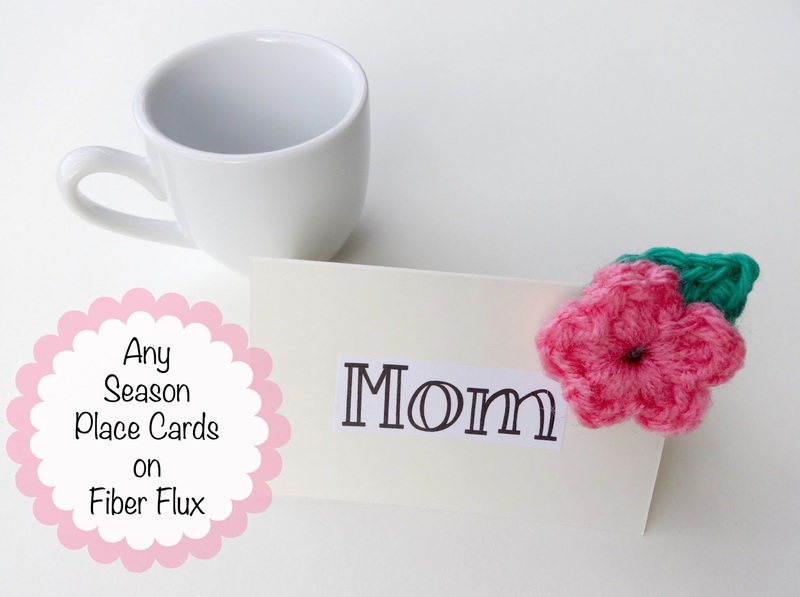 Fiber Flux: Any Season Place Cards, an easy project for anytime of year! Any Season Place Cards, an easy project for anytime of year! If you need a handmade element for your table, here is a fast and easy project that you can make for your guests. 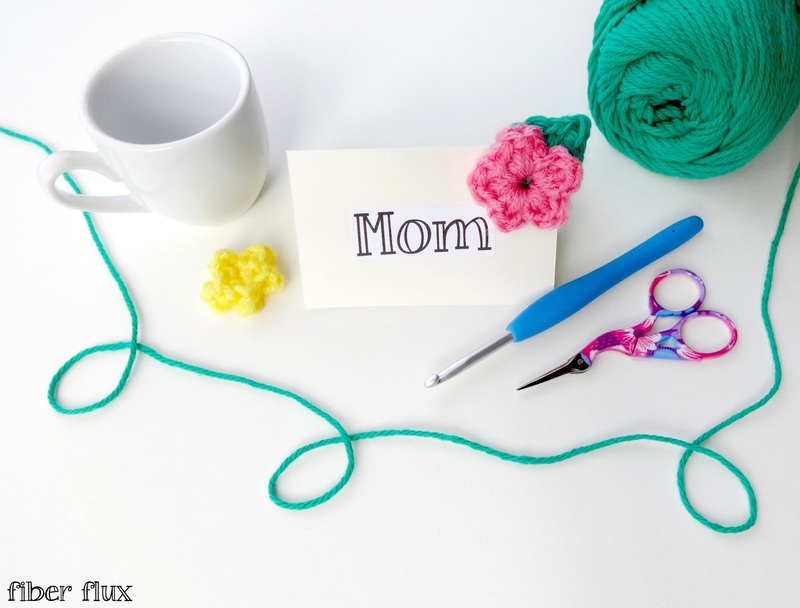 They will love seeing their name and the fun little crocheted embellishment that you've made just for them. 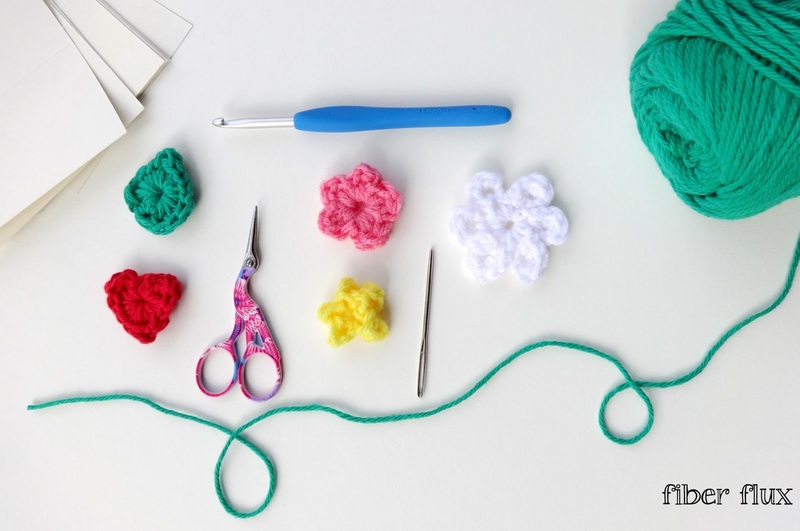 Using just a few basic materials and some scrap yarn, you'll have these made in no time! Check out all of the embellishments below, one for every holiday and occasion! 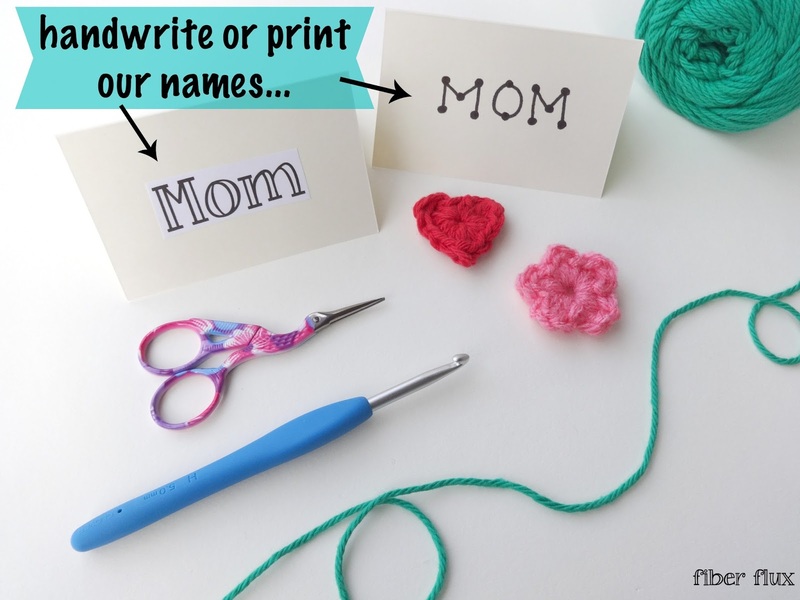 Begin by writing each name on each place card. Tip: If you want to save time, or would rather print the names, you can print them on the computer right onto the place card or cut and glue them to the place card. Attach your embellishment by gluing it right to the place card. Let completely dry before using. All done!